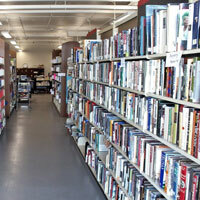 Every few months, the Friends of the Library host a book sale in the basement at MCPL Wausau. Once scheduled, these large sales are listed on this webpage, in the library newsletter and elsewhere on social media. All book sale proceeds go to support library programs. To learn more about the Friends of the Library, visit www.mcpl.us/friends. A smaller "mini-book sale" is available year-round in the main lobby at MCPL Wausau whenever the library is open. Donations for the next book sale may be made at any MCPL location according to the library's donation policies. You are viewing events tagged book sale. View all events.